I am doing so great with my workouts and I am loving them. Yes, they're hard and some exercises aren't my favorite but I love the general workout plan that I have and totally love strength training. What I did need was some cardio that I didn't hate. I'm not a fan of cardio in general (unless it's walking/hiking outside) and it's been way too hot and humid for that plus I never end up breaking a sweat except for the aforementioned humidity, so I've been wanting to get a treadmill for a while now but knew it would have to be a used one and, once again as they have many times in the past, Great Northern Liquidation came through! (We need to clean it up and please excuse the mess, it's in the basement where we store stuff and things are really piled up right now due to plumbing work and making room to get the treadmill in). 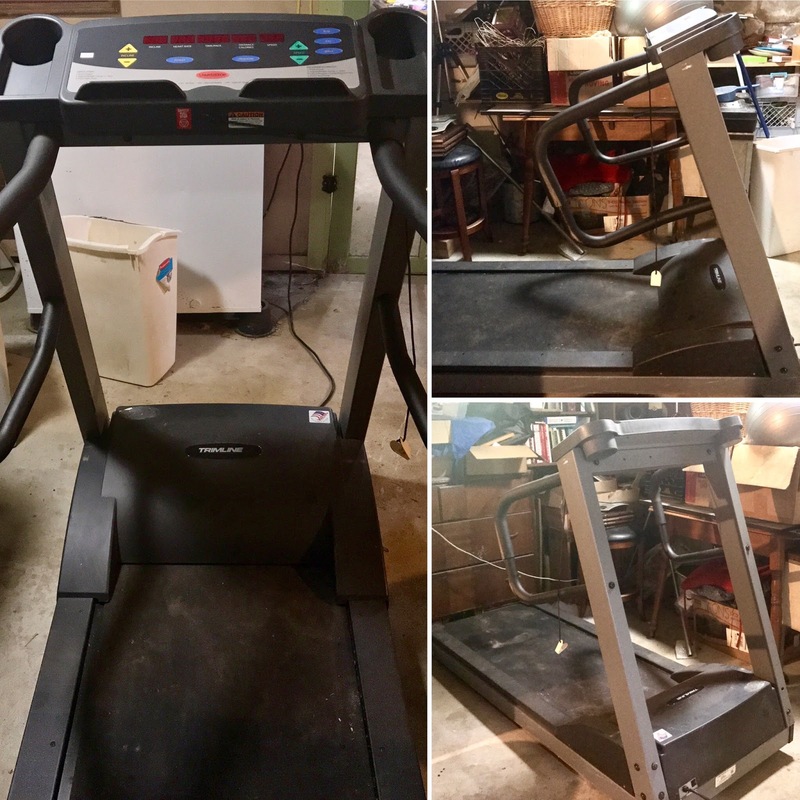 Not only did we get a very affordable treadmill that I am loving so far (it got here this morning) but they delivered the treadmill and set it up in one fell swoop. Now I just need to hope it lasts for a while because I did 35 minutes on it today and loved it. This is definitely a form of cardio I can do every day! On top of that, despite loving my current work out, there were several exercises I wanted to add (but not make each workout day even longer than it already is) and several I knew I should add instead of avoiding them (like lunges) so after giving it some consideration, I decided to add a "C" day to the mix... Push/Pull/Legs and Abs Day "C" with the same amount of exercise I do on the "A" and "B" days. I worked very hard on these plans and the exercise choices and I'm really happy with what I came up with. I will be challenged but not overdoing it at the same time and it'll give me more variety. And when things become boring I can rearrange the days and exercises, move things around and end up with a whole new basic plan. So, as soon I'm done with the "B" days this week I'll be moving right into the "C" days. Woohoo for updating the plan!